Eleocharis flower. Online.www.scielo Aldona Vizinis.Rosa Guaglianone.Darwiniana Vol. 46 No. 2.Scientific Electronic Library.org Vol. 46 No. 2..(Accessed 4/2014). 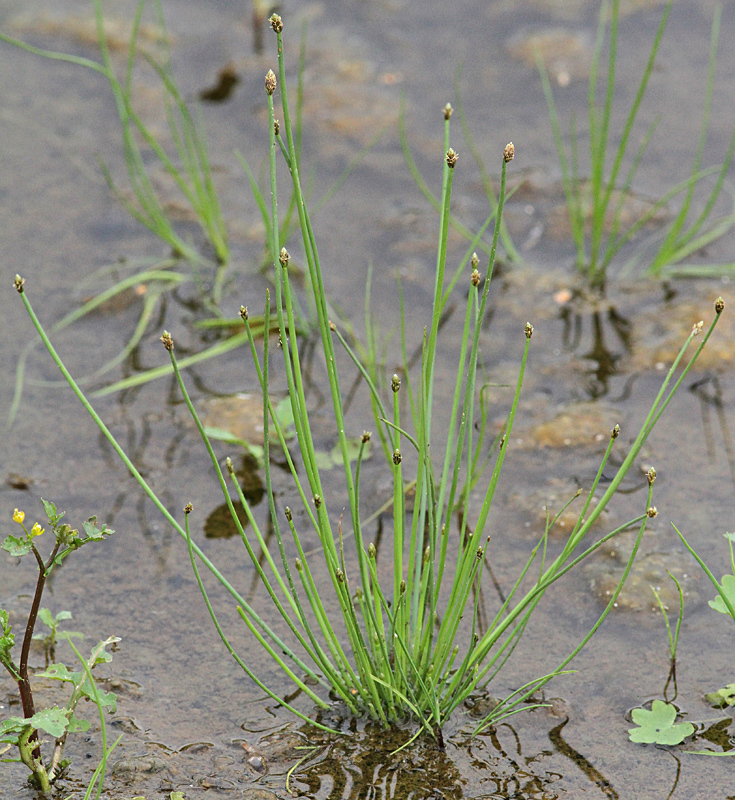 Eleocharis is a genus of grass-like wetland herbs. 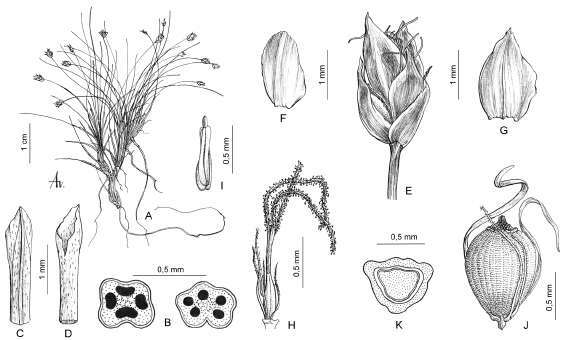 Flower spikelets terminal, solitary, several to many flowers; scales usually spiral and overlapping (imbricate), the lowermost 1-3 without flowers; stamens 1-3, style tip cleft 2-3 times base of style swollen to form a tubercle that persists on mature fruit. 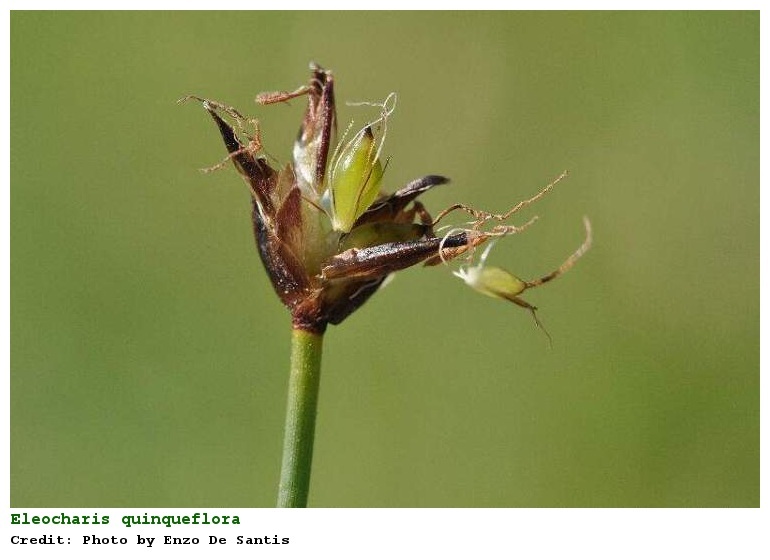 Eleocharis quinqueflora inflorescence dissected. photo by Enzo De Santis. luirig.altervista.org (Accessed 4/2018). Fruit a dry achene, 2-3 sided according to the number of style tips; usually topped by the persistant tubercle.